Production on the sixth and final season of House of Cards has been suspended indefinitely. The political drama’s cast and crew were informed of the shutdown this morning. “[Media Rights Capital] and Netflix have decided to suspend production on House of Cards season six, until further notice, to give us time to review the current situation and to address any concerns of our cast and crew,” said producers in a joint statement to Deadline. This news comes less than 24 hours after MRC and Netflix announced that season six would be the show’s last, which in turn came shortly after actor Anthony Rapp accused Kevin Spacey of making “an unwanted and unwarranted sexual advance” toward him when Rapp was 14 years old. In his response to Rapp’s allegations, Spacey came out as a gay man, which many perceived as a calculated deflection from the accusations themselves. 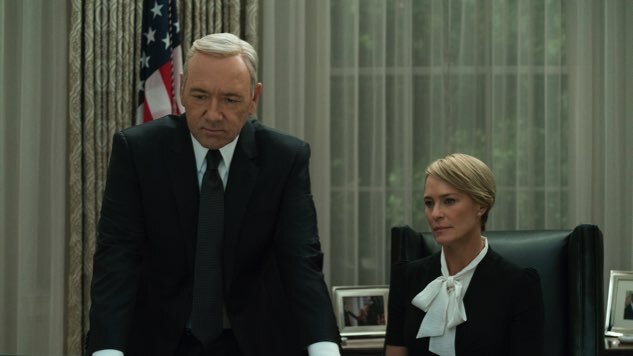 According to recent reports, Netflix is already developing multiple House of Cards spinoffs.